Nightingale Check-In is a holistic approach to health care that treats and cares for the “whole” person; not symptoms and disease. This ideal of caring for the entire person, not just their physical body, is one that dates to Florence Nightingale herself. Services provided by an experience holistic Registered Nurse who visits the client, evaluate their medical, pharmaceutical, financial, social and safety needs. A Registered Nurse focusing on: managing the client’s illness, education, review of current medications and potential for adverse reactions, and solutions to achieve optimal health. Serving as a liaison between the client, family and their health care service provider(s), to assure client and family satisfaction. Discuss a patient centered care-plan that provides the client and their family with a baseline summary that addresses problems, interventions, and goals for the client needs. Nightingale Check-In and Financial Assessment: Evaluate medical, pharmaceutical, financial, social and safety needs of the client. Aging in place solutions: Enable clients to live in the comfort of their home by arranging and monitoring home and health care needs; homecare, medical monitoring, safety assessments and solutions, and communication with the client’s family. 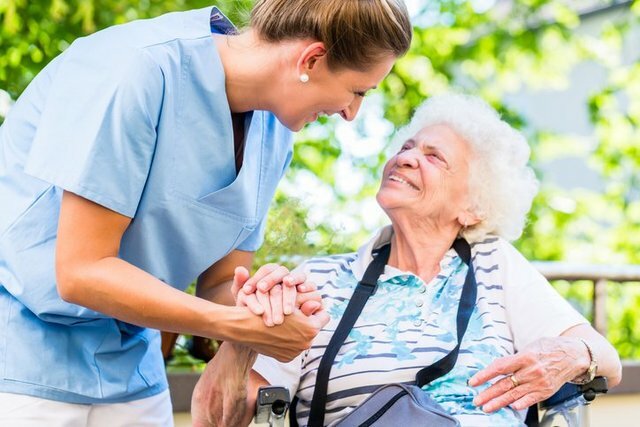 Transitions to appropriate living setting: Assistance with identifying and evaluating residential care options including: retirement, assisted living, rehabilitation, and skilled nursing facilities. Assistance with discharges from hospital or nursing home: Coordinate and ensure a smooth and safe transition back home or to a different facility. Care Management: Ensures client adherence to medical instructions, arrange medical appointments, and recommend and coordinate technologies that monitor daily health. Liaison for families providing long distance care giving: Oversee and arrange day-to-day care, communicates and alert families of potential problems. Crisis intervention: Provide advocacy, counseling and support, and act as a knowledgeable resource for client and family in navigating the complex healthcare system.